Ryan’s all-glass is proud of our longstanding history in residential glass products and services. We offer a wide variety of residential glass applications, such as: custom shower enclosures, mirrors, fogged glass replacement, tabletops, shelves, glass repairs, custom glass cutting for your specialty projects, and much more. 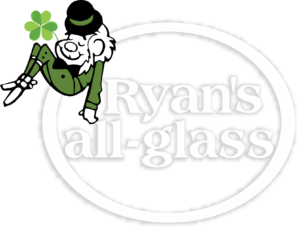 Ryan’s all-glass is the most trusted name in the area for a reason. Ryan’s showroom in Cincinnati helps you visualize your next project. Our design team has the experience to help guide you at every step. Step into our showroom to see some of our amazing products in person and speak with some members of our expert team about your next residential glass project. Turn your bathroom into a luxurious spa getaway with shower and bath enclosures. No matter what your vision is for your bathroom, we can create a shower and bath enclosure to match it. Learn more here. Nothing brings quite as much elegance to a room as a beautiful mirror fixture. Whether you need it for your bathroom, your bedroom, or any room in between, we can create a mirror fixture perfect for you. Learn more here. Glass bars, shelves, and backsplashes can add a stunning decorative touch to your home. We can create something that is sure to impress your guests. Learn more here. When you’re in need of window repair, you don’t want to wait around or have the job done poorly. Ryan’s all-glass offers efficient, high-quality window repair. Learn more here. Glass handrails look amazing, but they also need to be safe and architecturally sound. Ryan’s all-glass has the experience to build you handrails that look beautiful and provide reliable support. Learn more here. At Ryan’s all-glass, we take care of all your residential glass needs. From custom cutting to shower doors and beautiful handrails – we have the expertise to handle it all. We can make your vision for your home a reality. Rely on our over 35 years of experience to get the job done right. 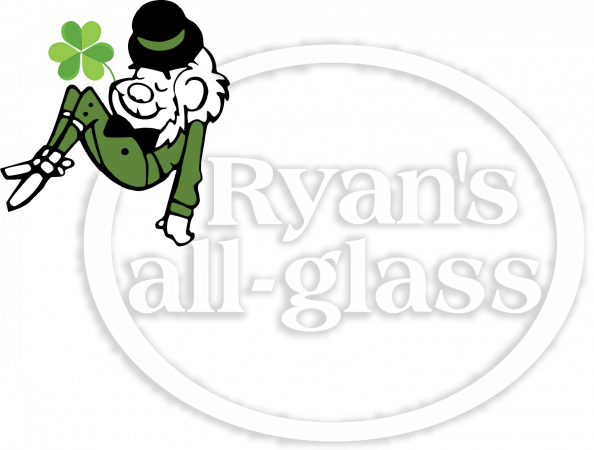 If you’re in need of glass products or services, look no further than Ryan’s all-glass. We offer the best, high-quality glass products and friendly service you can always rely on. Contact us today for more information or with any questions you may have. We look forward to working with you.